This programme has changed from that originally advertised as Guy Johnston is no long able to travel to the UK in March. We are hugely grateful for the brilliant Jack Liebeck for stepping in and replacing him. 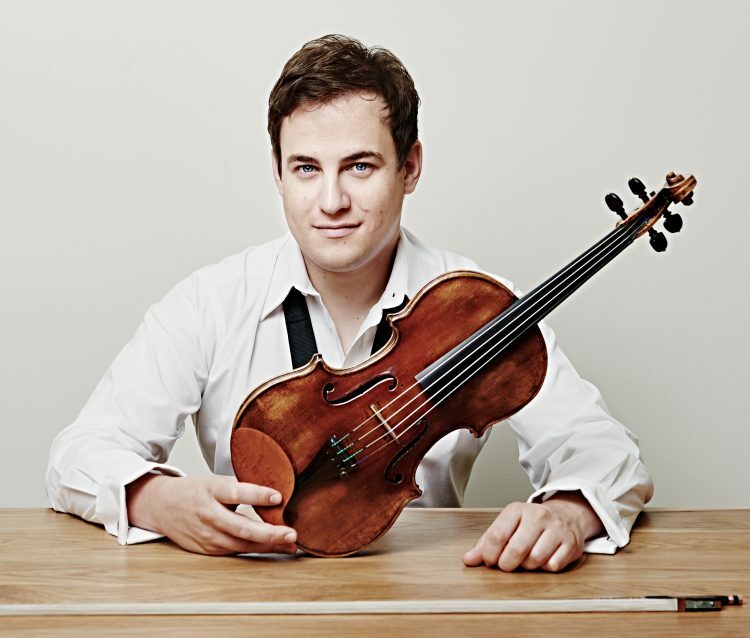 A renowned soloist and chamber musician, Jack Liebeck has performed with all the major British orchestras under conductors such as Andrew Litton, Leonard Slatkin, Karl-Heinz Steffens, Sir Mark Elder, and further afield with Royal Stockholm Philharmonic (under Sakari Oramo), Swedish Radio (Daniel Harding), Oslo Philharmonic (Jukka Pekka Saraste), Belgian National, Polish Radio Symphony, Queensland Symphony, Moscow State Symphony, St Louis Symphony (David Robertson), Indianapolis Symphony (Douglas Boyd), Melbourne Symphony (Jakub Hrůša) among many others. His Bruch concerto series with the BBC Scottish Symphony Orchestra and Martyn Brabbins has received wide critical acclaim “delightful mix of charm and bucolic spirit through Liebeck’s remarkable artistry and imagination” (The Telegraph) while his last in the series, Violin Concerto No 2, was released in early 2017. Jack plays the ‘Ex-Wilhelmj’ J.B. Guadagnini dated 1785 and is generously loaned a Joseph Henry bow by Kathron Sturrock in the memory of her late husband Professor David Bennett. He is joined at the piano by William Vann, the multiple award-winning pianist and Co-Chairman of KCMS for an unforgettable evening.